History: Silver Spring got its name from a silver spring; that is, a spring containing mica flakes, when it was discovered in 1840 by Francis Preston Blair. By the early twentieth century, the area had begun to develop as a streetcar suburb, with the first trolley serving the area in 1897. Suburban development continued, and by the 1960s and 1970s downtown Silver Spring had begun to decline due to competition from shopping centers with ample free parking. But in 1978 the Silver Spring Metro station opened, leading to a new era of redevelopment downtown. 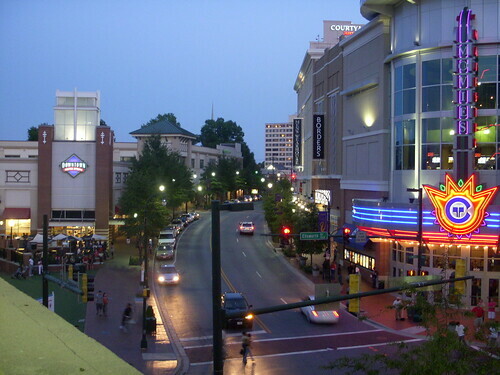 Today, downtown Silver Spring is full of countless restaurants, shops, and offices, and it’s a great place to live too. Transportation: Silver Spring is a major hub for transportation in the area. There’s the Metro station, several Metrobus and RideOn bus lines, the MARC train, and the free Van Go shuttle. It’s also right off the Beltway, and the ICC is slated to connect with the larger Silver Spring area as well. And all that construction next to the Metro station? They’re building the Paul S Sarbanes Transit Center, which will provide easier transfers between bus and rail at the busiest bus transfer center in the entire DC area. Go outside! Silver Spring has so many outdoor areas to enjoy. There’s Jesup Blair Park right at the border with DC, Acorn Park in downtown Silver Spring (which is considered the site of the original silver spring), and Sligo Creek Park and Rock Creek Park for hiking and biking. And definitely check out Brookside Gardens, a 50-acre public display garden, in Wheaton. Eat something. There’s a plethora of great restaurants to enjoy in Silver Spring. Sure, there are tons of chain restaurants along Ellsworth Avenue, but Dan recommends avoiding them. Instead, try the area’s best Ethiopian at Addis Ababa, then grab a cupcake at CakeLove. Other neighborhood favorites include Lotus Cafe for Vietnamese, Olazzo for Italian, and of course, Ray’s the Classics for a good steak. Need a drink? You’re in luck– the Quarry House Tavern is the go-to place for comfort food and a long beer list. Both Dan and Karl rave about this basement dive. And if costumed waiters and over-the-top entertainment are more your thing, check out the Piratz Tavern. Take part in one of the annual events happening in Silver Spring. Catch a documentary (or 10) at Silverdocs in June, listen to some live music at the Blues Festival in May or the Jazz Festival in September, and don’t miss the Thanksgiving Parade in November. What’s Nearby: Silver Spring is north of Takoma and northwest northeast of Bethesda. Why We Love Silver Spring: There’s so much to love here. And everything described above is just the tip of the iceberg. As Karl reminds us, “The ‘Downtown Silver Spring’ development along Ellsworth Drive does not represent the entirety of Silver Spring. 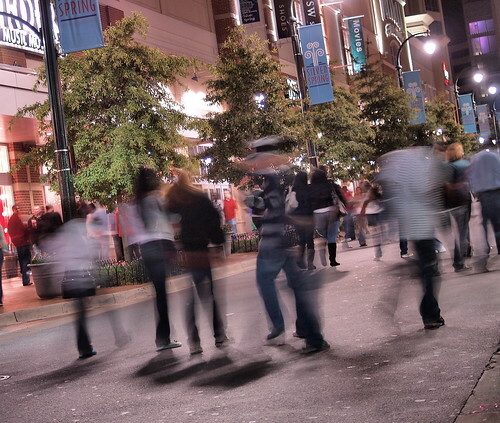 While the development served an essential purpose in the revitalization of the downtown area, Silver Spring has so much to offer outside of this single block of shops and restaurants.” So while shopping and entertainment may draw you to the area, make sure to take some time to just wander and explore everything Silver Spring has to offer. And Dan really loves the sense of community in the area. “In my lifetime, Downtown Silver Spring has gone from being empty storefronts and vacant lots to a vibrant community busy creating a culture of its own. Nowhere in suburban D.C. – and, hell, even parts of D.C. – will you find so many different kinds of people, from so many different backgrounds, converging and working together.” Sounds like a pretty great place to live! Seriously? I find Silver Spring among the most aseptic & boring suburbs of DC. Hurray for chain restaurants & retail outlets.. I would not describe living next a giant open air mall “urban living”. 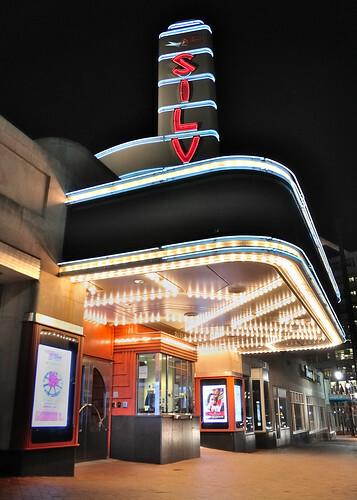 The only peice of character in the entirety of downtown Silver Spring is the AFI Silver Theater, the rest is no different than any other suburb. A predictable condescending response from someone who clearly knows nothing of Silver Spring outside of the single block to which you refer. I haven’t been to Silver Spring since before the downtown revitalization started in the 1990s. I probably need to go back and see it for myself. The description of the neighborhood’s character sounds a lot like the much-celebrated Rosslyn-Ballston corridor. The Woodside Park neighborhood was mentioned. One of the nicest things about Woodside Park is that it is just north of downtown Silver Spring and a 15 minute walk to the Metro station, yet it is a tranquil subdivision with lots of trees and streets that follow the contours of the land rather than being a typical straight block grid. And almost every house is a different design, with houses of every style popular since the 1920s. You should really walk down Georgia Ave past Ellsworth Drive, or head up Ramsey Ave and check out the restaurants back there. For anyone willing to walk a few blocks away from the parking garages and the metro station, the real treasures of Silver Spring await. Agree with all the posters above except RM. You have to get off Ellsworth Drive to find the soul of Silver Spring…and keep in mind what SS was like 10 years ago (the transformation is remarkable). Our revitalization is still a work in progress with much to be done, including some big things not mentioned in the post. Coming soon-ish to the downtown core: contemporary community building w/public plaza & ice-skating rink, a wonderful new library, the Purple Line light rail, the Fillmore live music center, completed bike trails (Capital Crescent & Metropolitan Branch) forming a ‘bicycle beltway’. Add to that the tons of proposed office, residential & retail development and you’ll see what a dynamic place Silver Spring is becoming. Thanks for the corrections, Woodsider! That’ll teach me not to write while sleep-deprived :) I’ve updated the post. Yes RM, Silver Spring is so boring. From my apartment I can only walk to three different grocery stores in 5 minutes. Can you believe it? Or else I have to visit the year-round farmer’s market in the “giant open air mall”. (You know, that place downtown where there’s always parties, parades and live music playing.) I’m always forced to eat at Red Lobster and ignore the dozens of independent ethnic restaurants in surrounding blocks. Luckily, I can jump on the Silgo Creek Trail, the Capital Crescent Trail or the Rock Creek Park Trail or the Beltway all within a mile of my apartment if I need to get away from all that boringness. I even had to sell my car because I was left with no excuses to own one! I agree with you RM, it’s horrible.